Bobbie Kristina Brown, the daughter of Bobby Brown and the late Whitney Houston, was found unresponsive in a bathtub in a home in a Roswell, GA subdivision this morning at 10:30. 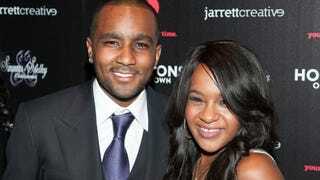 According to early reports, police say that her husband and a friend found Brown and began CPR. When police arrived on the scene, they began life-saving measures and transferred her to North Fulton Hospital . TMZ is reporting that doctors have stabilized her breathing.